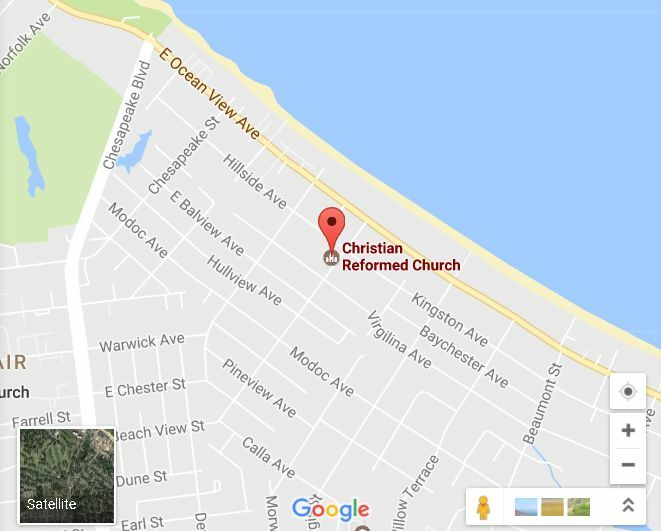 We are a small but growing church located in the heart of Ocean View neighborhood in Norfolk, Virginia, just two blocks from the beautiful Chesapeake Bay. We seek to be a community who serve one another and encourage each other in following Jesus Christ. We invite you to visit us and rejoice with us in what Jesus has done! We believe that every person is born into a sinful state, and that salvation for us and all believers comes only through faith in Jesus Christ, the Son of God, our Lord and Savior, who was sent to die for our sins by God the Father, the Creator of the world. Following Jesus’ death, resurrection and ascension, He sent the Holy Spirit, who does the work of salvation in people’s hearts and guides believers in all truth. We believe that this saving faith is a gift of God’s grace, not of human effort. We believe that the Bible is the Word of God and is infallible in its original languages. Further, we believe that since the Bible is God’s Word, His revelation to us, it is the only authority to which we look in matters of faith and life. For more details, please go to About Us.